Brick and Vinyl sided Cape Cod in Kuser Farm neighborhood. 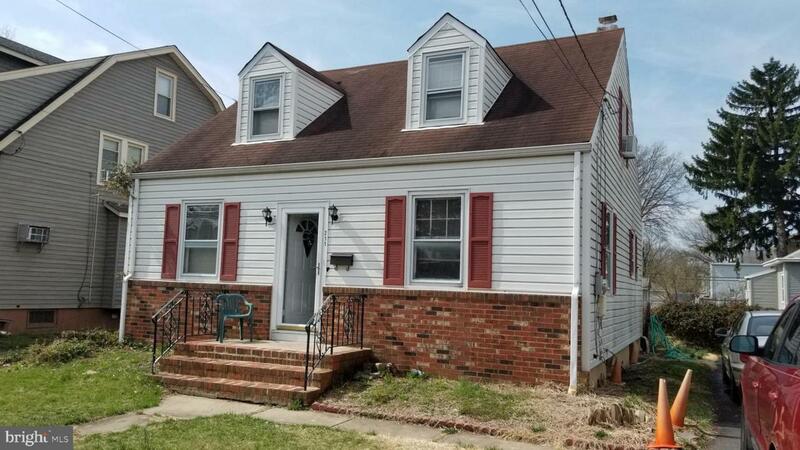 Main level features Living Room, spacious Eat-In-Kitchen with plenty of cabinets, Family Room/Den, Bedroom (used as office) and updated Full Bathroom. Second floor features 2 additional Bedrooms with front Dormers. Also boasts Full Basement with laundry and outside entrance. Off-street parking in Driveway and Fenced-in back yard complete this great home. Bring your decorating ideas to make it yours. Located near retail, restaurants and major highways. Great Hamilton value. Listing courtesy of Action Usa Market Realtors.